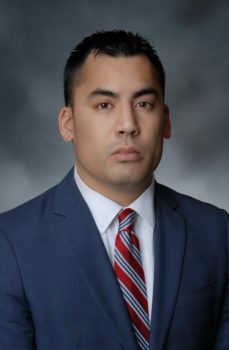 Mr. Camacho is a member of the Firm’s Real Estate Practice Groups, concentrating primarily in real estate litigation in Virginia and Washington, D.C. Jeremy represents title insurance companies, developers, real estate agents, and landlords at various stages of litigation. Previously, Jeremy handled distressed real estate matters, specifically residential foreclosures and unlawful detainers. He also handled a variety of civil disputes, including sanctions allegations, and suits with common interest communities. Jeremy received his J.D. from Antonin Scalia Law School at George Mason University, located in nearby Arlington, Virginia. During law school, he published two articles in peer-reviewed journals and followed up with a third article shortly afterward. He received his Bachelor of Arts in English from the University of Virginia. He is an active member of the firm’s Diversity and Inclusion Committee and is barred in both Virginia and Washington, D.C.